We are sure that you recognize the quality of our products and our company. Possibly you know other companies that can benefit from the use of our products. In this way we promote the possibility of presenting us companies or persons that may be interested in our products, but we want to reward you for this recommendation. *This offer is valid when the company that was recommended to us place an order. 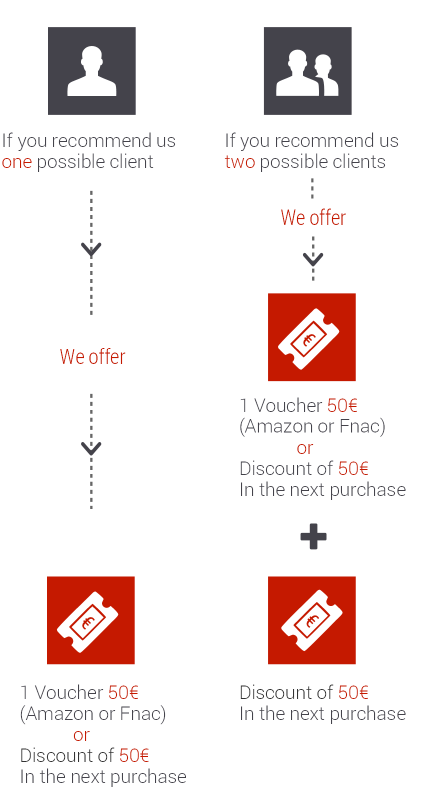 Offer valid for orders over € 1,500.00, subject to terms and conditions of this campaign.